In the past, I've posted a readable or watchable and/or a listenable of which I'm fond. I realized I didn't have to be married to that format since the rabbits are not the boss of me. However, I'll still post things I love and they will often fall into those categories. You can choose what happens after my recommendation. Ignore, embrace, debate. I cannot recommend Joy Williams & John Paul White of The Civil Wars enough. I've tried. But thousands of us who have spent our hard earned cafemochaandpoundcake money on their new album, Barton Hollow, can't all be wrong since it's #1 this week on iTunes. You can snag a free download of the title track at iTunes or Topspin. And then you can snag the delightful single "Poison & Wine" for free on Amazon. AND THEN you can snag their album Live at Eddie's Attic for free at Sensibility Music. Then take your dollars & cents and help them feed their bellies. This song, To Whom it May Concern, is currently on repeat. I offer it up as a prayer to God and Neil Clark Warren. I caught them live at Workplay in Birmingham Friday night and it was scrumptious. As were Joy's shoes. 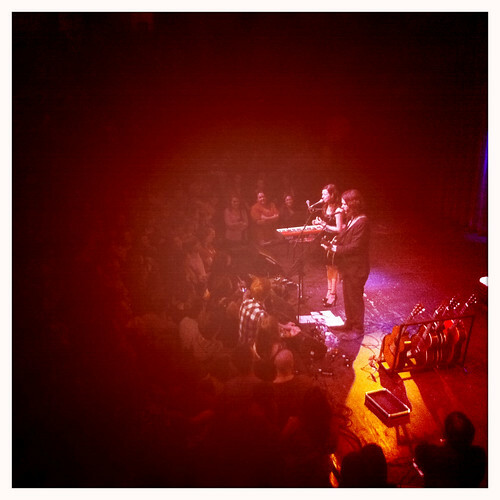 They're at the beginning of a great tour with Lucy Schwartz, so catch them if you can. I cross my heart that you won't regret it.